Looking after a baby is not an easy job as you have to make sure that he or she sleeps and eats right and most importantly poops at the right time. There are certain times when a baby may have irregular bowel movements and his diaper may leak causing his clothes and other things around him to get a little stained. 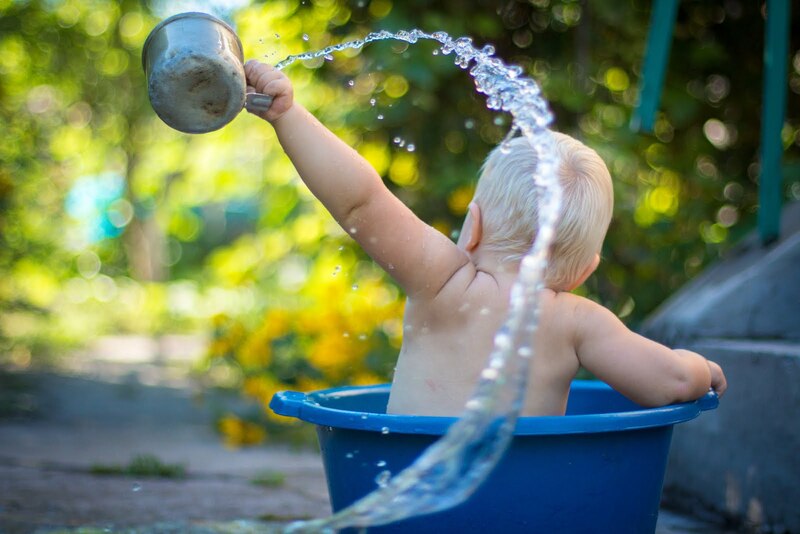 Babies tend to have a bit of watery stool and so it quickly spreads on the surface that it comes in contact with. The good news is that it can be dealt with very easily all you have to do is follow a series of systematic steps. So, if you want to know how to clean baby poop stains simply read on. So, here are some easy steps to help you get poop stains off your baby’s clothes. Here is more on how to take care of a baby, feel free to read it. The moment your baby’s clothes are stained with poop stains you should simply treat the stains with a strong stain remover. Experts have stated that this must be done before the clothes are placed in the laundry pile. The stain removers will penetrate well into the fabric and get rid of any mark. Consider soaking the clothes in a bucket full of cold water to get the he stains to loosen up. You have manually washout as much as stain as you can from the clothes. Once al the stains are out then use some detergent and wash the clothes in the washing machine. You may consider using bleach but remember use different bleach for colored clothes and chlorine bleach for white fabric. Try to use bleaches that are mild as you do not want the clothes to become coarse after washing. Put the clothes through an extra cycle for rinsing, this will help to washout any residue of the bleach. You could invest in stain eliminator pens, these are readily available in grocery stores and in pharmacies and are quite effective in getting rid of stains. Some of them contain a lot of bleach and some may have special detergents. Try mixing a part of detergent to an equal part of water and stir till it forms a nice paste. You must apply the paste to the areas that have stains and wait for at least 20 minutes. After that make sure that you get rid of the paste from the clothes and continue giving the clothes a normal wash. This paste is know to get rid of any stubborn stains. The last step but not the least effective and that is putting the clothes out in the sun. 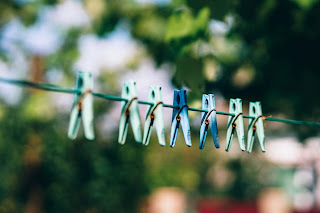 The sun is very effective in getting rid of stains; however you have too put the clothes out while they are damp to wet. If the clothes are printed then turn them inside out before you dry them. Here is a list of things that you should practice when you want to know how to clean baby poop from your baby’s clothes. If the baby’s clothes have stains on them then do not put them out to dry without cleaning them, this will make the stains difficult to remove. You must wash the poo stains out in cold water. Then treat the spots and after that put them in a washing machine. Never make the mistake of putting the stained clothes in the dryer a the hot air will make sure that the stain stays set. Was the stain again and again till it fades out substantially. If you notice poop stains on your rug, do not start rubbing them but try to locate the lump particles and get them of the carpet. Are The Cleaning Products Safe? In most cases the products are very safe as they are made keeping the babies well being in mind. Most of the products have very mild ingredients in them so they will not cause any irritation on the baby’s skin. Well you do not have to run from pillar to post looking for these products. Just take a trip down to your local grocery store and you should find them or you could also go to a pharmacy. Make sure you buy cleaning products from a reputed brand, spend some time in doing research over the internet and read customer reviews on the best product in the market. Parenthood is never easy and sometimes it can be messy as the poop stains will serve as reminders. However with great cleaning products and a lot of patience you can get through this easily. If you follow these tips on how to clean baby poop stains you can have your carpet, cloth diapers and baby clothes looking like brand new in no time. Simply get hold of good cleaning product and get started, just make sure that the products are of very high quality as you do not want the clothes or carpets to get spoiled by becoming coarse. So, start following these tips and enjoy discover the simple joys of being a parent like never before and feel empowered by it. 0 comments on "Process Of How To Clean Baby Poop Stains Disclosed"